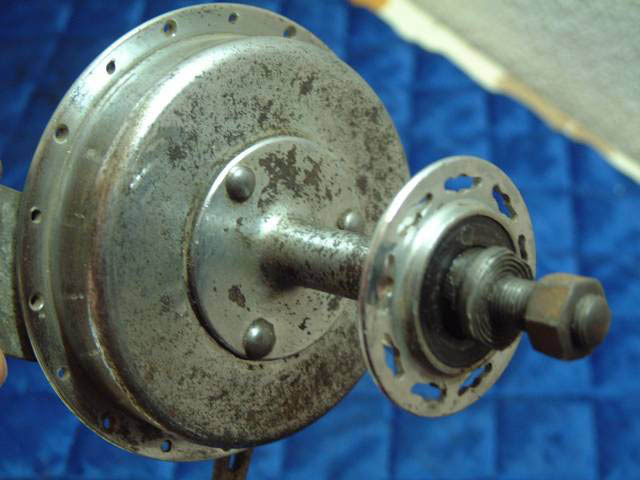 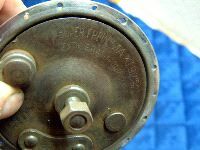 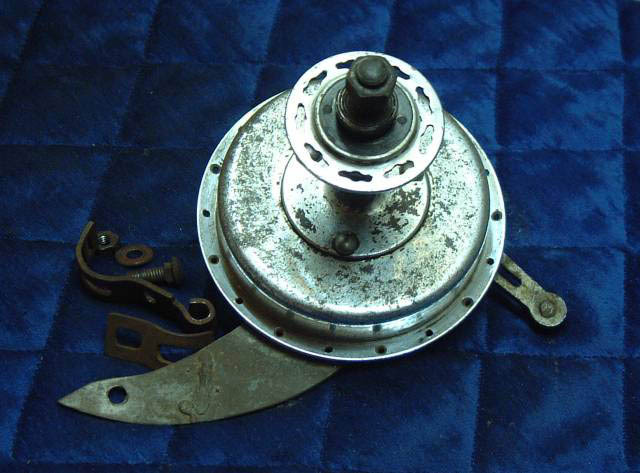 Rear drum brakes for tandems and singles were produced by Maxi in the pre-war years, initially at 115mm spacing, and eventually with 146mm spacing, in a range of drum sizes. 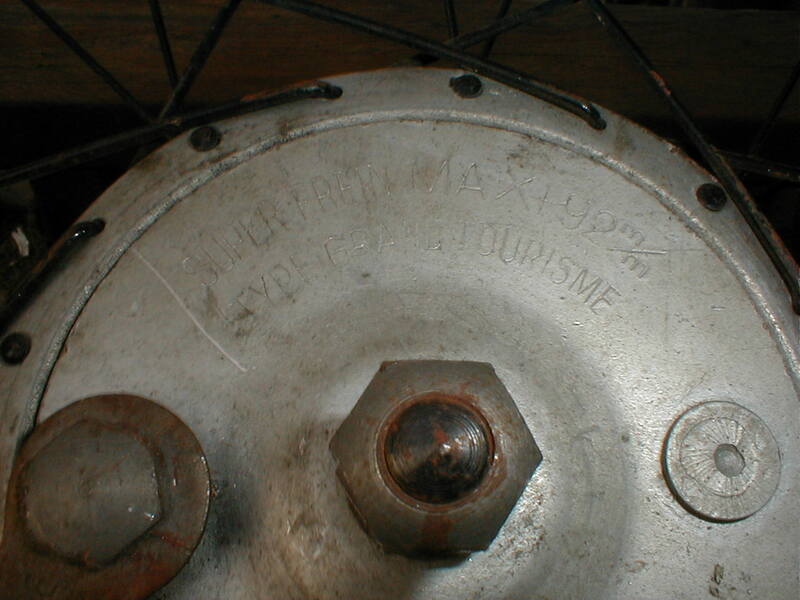 Here's a rear 92mm (drum diameter)type "grand tourisme". Front drum brakes were also made. 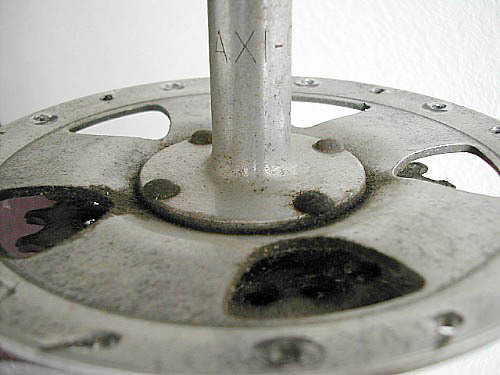 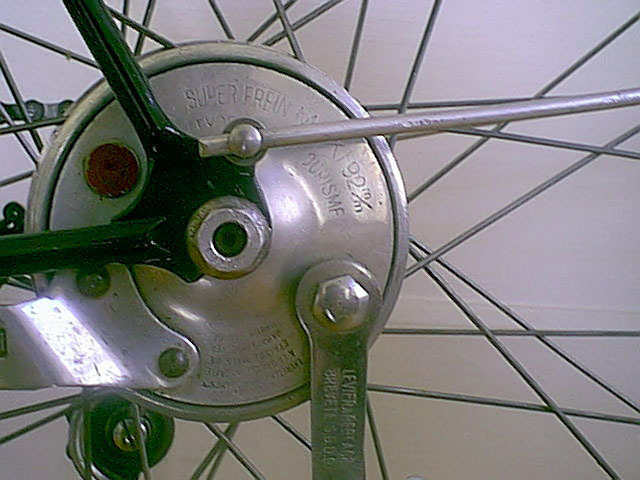 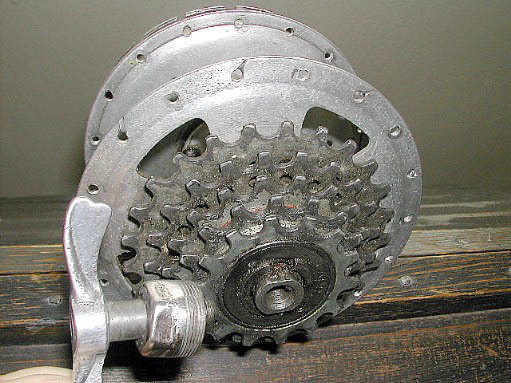 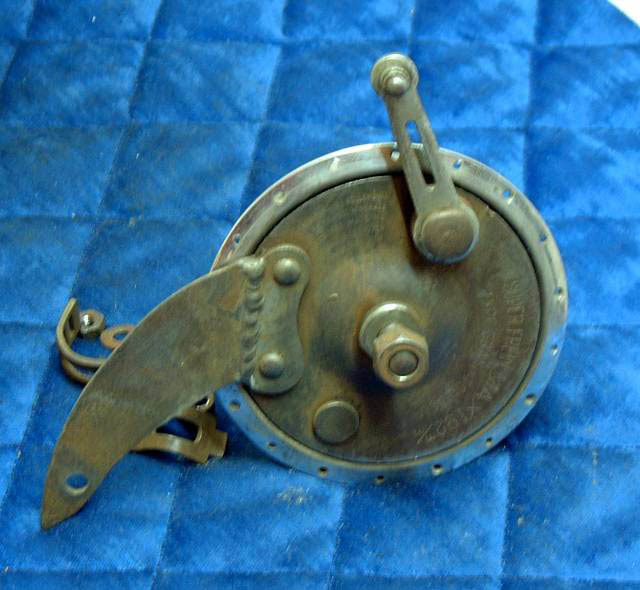 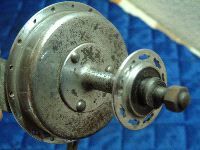 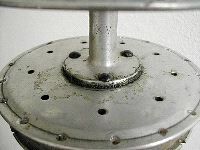 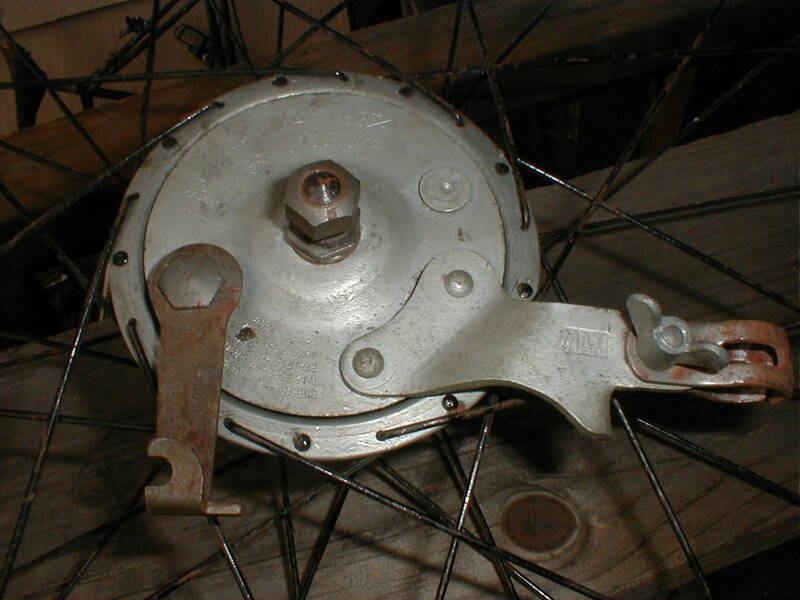 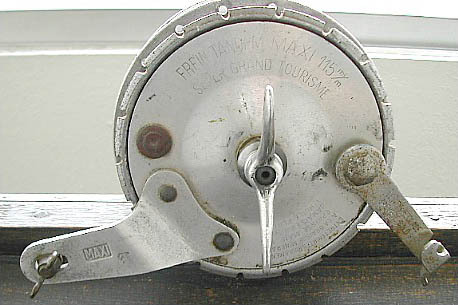 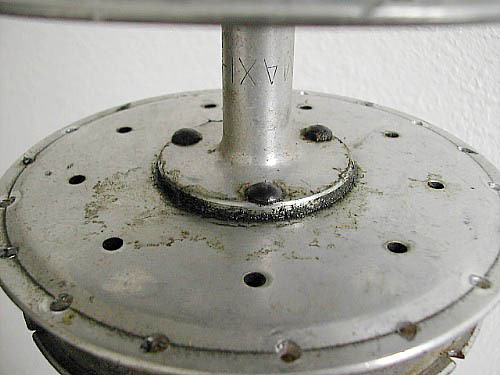 This one is an early "Maxi", 92mm drum, type "grand tourisme"
a tandem 115mm type "grand tourisme" modified for use with a Nivex rear derailleur (note the wingbolt for the drive side, and the convex shape of the drive side axle face).